The G80 isn't exactly thrilling to helm in terms of sportiness, but it is a great cruiser, providing a ride that's up there with the best the Europeans and Japanese have to offer. But if it's power and responsivness you want, move up to the G80 3.3T Sport. Ride Quality: The G80 offers a very cushy ride without being totally numb to drive. All occupants get to experience great on road comfort thanks to a compliant suspension. Acceleration: The V6 has to move a fair amount of weight (4,350 lbs), and the 0-60 time is about 6.5 seconds, not slow but also not exactly quick. It's at the back of the pack in terms of sprinting ability. At least it benefits from a smoother, updated 8-speed automatic transmission. Braking: The brakes are on the mushy side with poor pedal feel, and the braking distances are on the long side. The Volvo S90 and the BMW 5-Series do much better. Steering: The G80 provides a small amount of feedback from the road, but it's on the light side. Handling: We wouldn't call the handling poor, but the G80 feels heavy in the turns, and there's noticeable body roll when you push it. The Mercedes E-Class and Audi A6 are much crisper in the handling department. This is one area where Genesis excels. Not only does their system look good, it also operates flawlessly and with easy controls. We're not sure why the Germans have to make their systems so confusing to use. 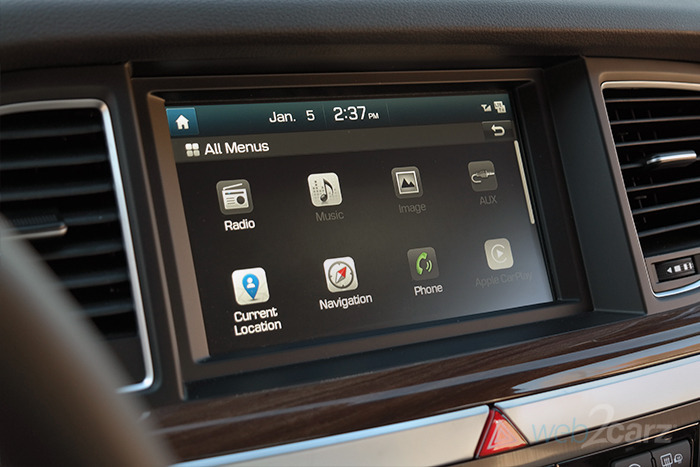 Infotainment System: The 8-inch touchscreen is easy to read, and the menus are straightforward. It's all about form following function. Standard Apple CarPlay and Android Auto sweeten the pot. Pairing, music streaming, and navigation are all great. 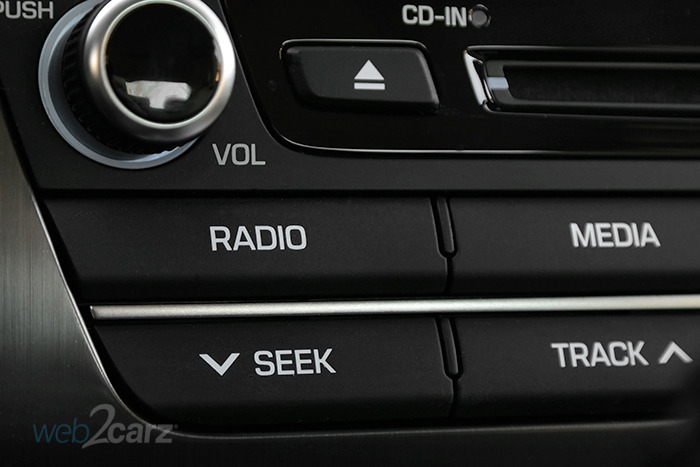 Controls: There are two crisp rows of buttons, one for climate and the other for audio/infotainment. The physical knobs for temp adjustment and volume/tuning are well-placed and well-sized for easy manipulation. 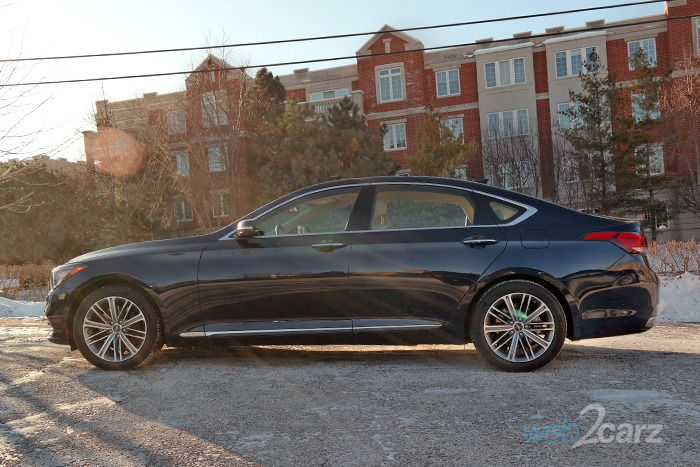 The first-generation Hyundai Genesis, from which the G80 was birthed, looked wholly unoriginal, but the G80 easily departs from that derivative design. For 2018, it gets refreshed front and rear fascias, a revised lower front grille, and some nice new standard 18-inch wheels. Front: The front gets some minor changes to give it a touch more refinement. The turn signals are now housed in the inner portion of the light cluster, and the lower fascia gets a raised center portion. Changes aren't dramatic but they are better. Rear: There are miniscule tweaks made to the back, but it looks mostly unchanged. The 5.0 and the 3.3T Sport get sweet quad oval tailpipes, but the 3.8 stays with ellipsoid versions. Profile: The G80 sports a long hood body creases that make it look lean and sophisticated. The short front overhang and longer rear overhang provide some aggressiveness. 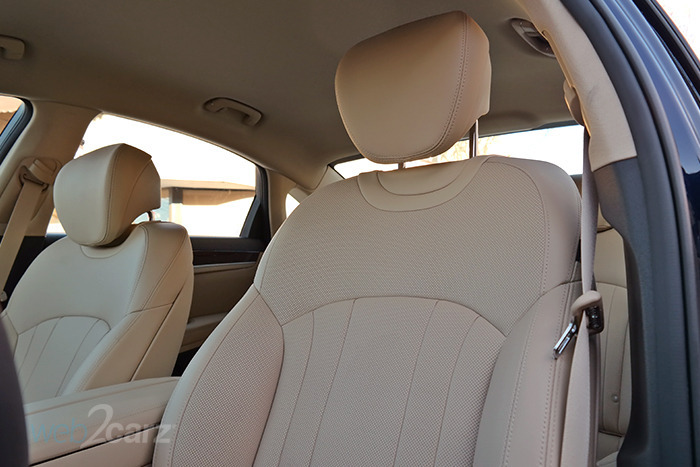 Cabin: It's not as eye-catching as the BMW 7-Series or the Audi A6, but it's very clean, and the materials are excellent. For 2018, Genesis added genuine matte wood finishes, new gauges, and a revised shift knob. The G80 is a supremely comfortable place to sit and drive. 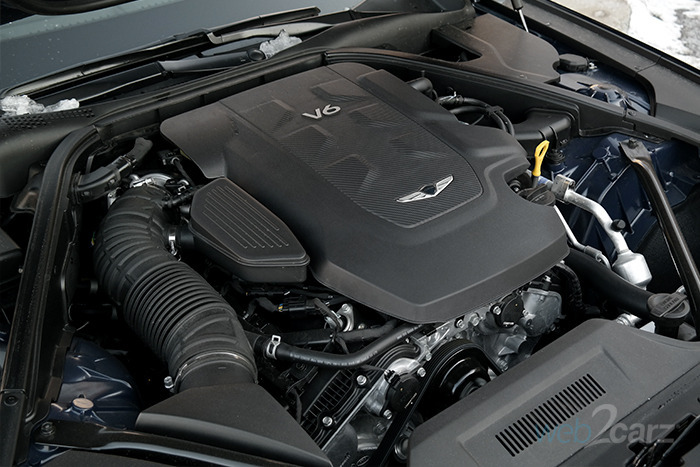 The cabin is well thought-out and spacious, and the G80 sits near the top of the heap for overall comfort in the mid-size luxury sedan segment. Front Seats: There's more legroom here than in the competition. Almost all of them are smaller. The seats are plush, supportive, and great for long trips. Rear Seats: Rear outboard seats are very comfortable, but the middle position is only for short trips. It's pretty much on par with the rest of the segment in terms of room. NVH (noise/vibration/harshness): Genesis has added NVH cancellation enhancements that make the cabin even quieter than it already is. Visibility: The large windows and good driving position provide excellent visibility, and the rear decklid isn't so high that it obscures rearward vision. Climate: The dual-zone automatic climate control system works very well, and the heated/ventilated seats are also very good. The G80 nails crash/safety tests like a champ, and it's even added Pedestrian Detection and Driver Attention Alert as standard safety equipment across the model line. This big sedan should be on the family car shopping list for this reason alone. IIHS Rating: The G80 earns the Top Safety Pick+ thanks to stellar test results, attaining 'good' in every category except for the 'marginal' LATCH system ease of use. NHTSA Rating: It earns 5 stars, the top rating in crash tests. Standard Tech: The list is long and includes Blind Spot Detection, Forward Collision and Rear Cross Traffic Alert, Rear Collision, Lane Keep Assist, Lane Departure Warning, Back-Up Camera, Pedestrian Detection and Driver Attention Alert. Optional Tech: No Monrnoey sticker provided. Despite having a big trunk, the usable space isn't capacious, and there's no 60/40 split folding rear seat. Storage Space: The cupholder and center stack compartments have folding doors, and the center armrest also provide great concealable storage. 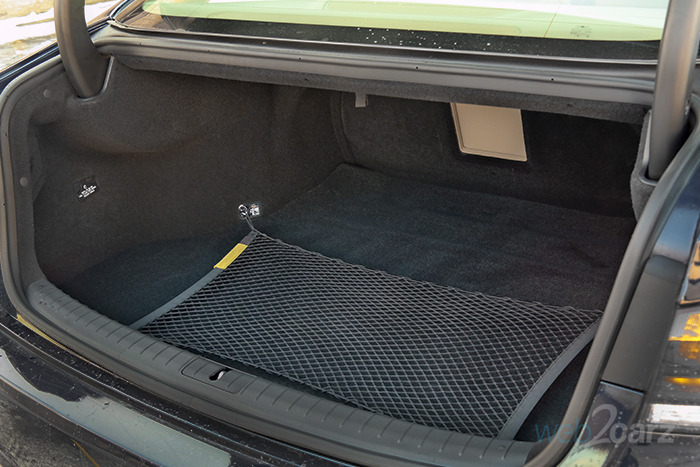 Cargo Room: There's 15.3 cubic feet of trunk space, but since the seat doesn't fold down, you're robbed of maximizing cargo room in the back. Volvo, BMW, and Audi all have split-folding rear seats. Gas mileage in the G80 3.8 is lackluster, sitting at the back of the segment pack. The EPA ratings aren't even that high. 18/25 is way behind the likes of Audi and Volvo. Driving Factors: We drove in Sport mode most of the time mostly on local roads but about 25% at highway speeds. Our tester came with the stock 7-speaker audio system, which was pretty good and played clear, crisp sound. The bass is a bit lacking, but there's no distortion at higher volumes. 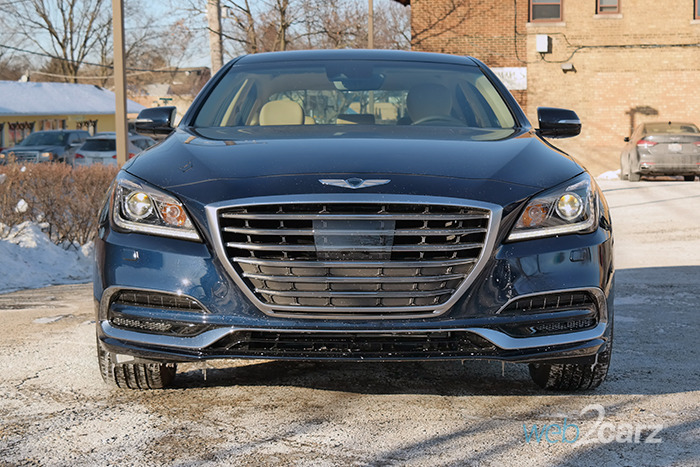 Final Thoughts Genesis is making waves in the luxury car industry largely because their products are so well made, and their customer service are top notch. 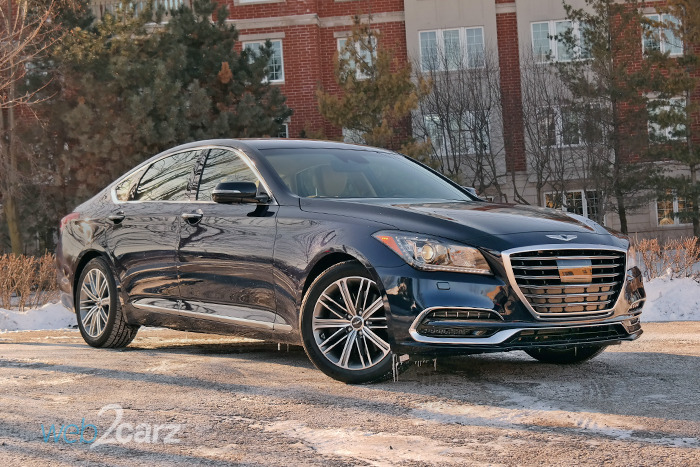 The G80 is, of course, a carryover from its days as a Hyundai Genesis, but it's still a worthy luxury car for those who care more about value than badge cred. For those who want more driving excitement, upgrade to the better 3.3T Sport. The value that the G80 provides is top notch because of the robust tech/safety features, and the overall level of comfort. It really is a solid vehicle if driving excitement isn't your primary objective.